That’s the short answer, but if you ever need justification for buying a new bike – these are some reasons to help you dip in the wallet and buy the new bike you deserve! Of course, no real cyclist ever needs justification to buy a new bike, but this might be helpful for dealing with those family members who may not share the same understanding of the scientific and emotional benefits of the new 2015 Shimano Dura Ace di2 groupset. Because manufacturers inform you this years model is 20% more rigid, 12% lighter, 7 % more aerodynamic and only 33% more expensive. If you buy, everyone’s a winner! If you don’t buy a new bike, it means you will be riding a bike that is potentially slower than you could be riding. How painful is that thought? Why spend all those hours training in the wet and cold when you could be getting the same marginal gains whilst sitting in the office doing overtime to pay for your new bike?! Because there will definitely be someone on the start line of your race / cyclosportive / Strava leaderboard – who will have that new bike. You wouldn’t expect Lewis Hamilton to turn up to a Formula One race, in a 1920s Ford Model T. You need the best to have a fair competition. You need a cheap commuting bike to reduce the scare of getting your 33% more expensive new bike stolen. This is brilliant, You get a new bike that is so expensive, you have to get a cheaper bike to complement it. Two reasons for the price of one. Cheaper than upgrades. 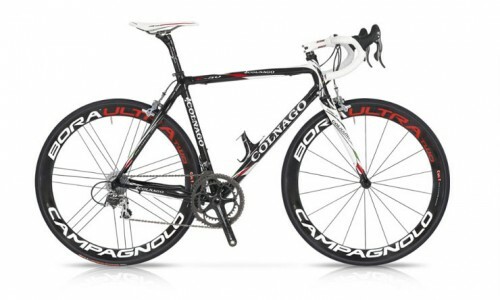 If you took a bike apart and tried to buy the components separately, it would be twice as expensive. If you find yourself buying a new component like a new stem or new pair of wheels, you might as well just go the whole hog and buy a new bike! New bike gives new inspiration. There is a great feeling in riding a new immaculate bike. If you’re struggling with inspiration to train, buy a new bike and the next week of training will be really high quality because you are so happy to be riding a new bike. Admittedly, a weekly new bike could be stretching even the most enthusiastic resources of the most ardent ‘buy a new bike’ type person. You should save this for desperate times like the middle of winter. Because it looks good. Who said a new bike needs to be faster? It’s not as if you’re going to win an important race anyway. Bikes are all about looks. That 1980s Colnago C50 will have plenty heads turning on the club run, and if that’s not worth taking out a £5,000 loan – what is? Bike in house. A kind of modern art. You have joined the modern art movement of spending a lot of money on the unexpected! You have your new bike! If all else fails, you could always consider selling an old bike. But, this is really a last resort, because it’s much better to accumulate an ever increasing number of bikes. You haven’t got the money In the days of Wonga, credit cards and quantitative easing, there’s always money somewhere. Your granny may have told you money doesn’t grow on trees, but if the UK can have a national debt of £1,432.3 billion and Q.E. of £350bn money creation, do you not think you deserve a very small extension of credit for helping the economic recovery? Think of it as expansionary fiscal policy – any good Keynesian economist will tell you that your consumer spending is a selfless act for the greater good. Family unconvinced. This is slightly tricky – your partner is not convinced that you need a 12th bike when the last family holiday was a budget hotel in Skegness in 2009. But, still with a new bike – every day is a holiday. All we need is that 12th bike and we will become a beacon of happiness and cheerfulness (until the next seasons models come out) – so everyone is a winner really. Note the emphasis on shared ownership. You may ride the bike, but really it belongs to everyone. Who needs words to justify buying this? 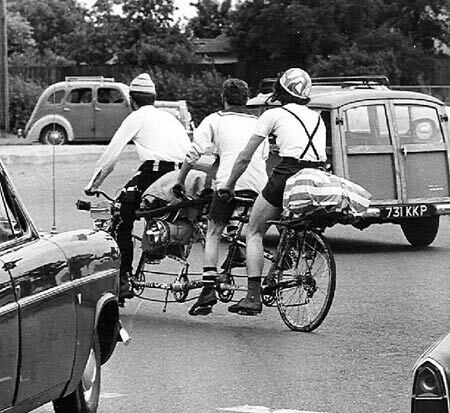 In the good old days, a bike was a bike. 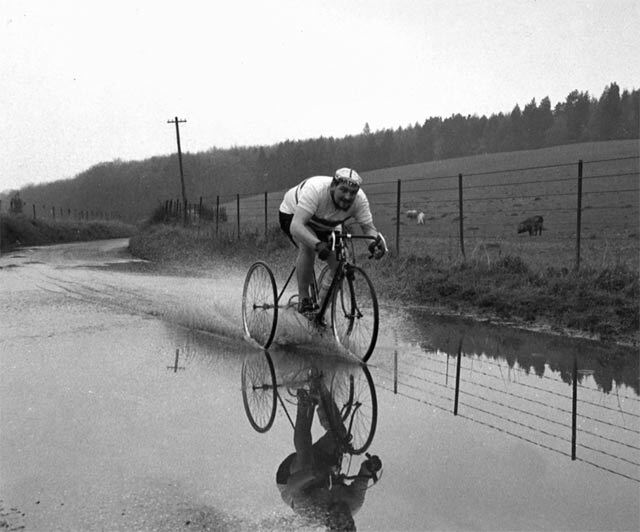 And you would ride the same bike whether you were racing, touring, commuting or time trialling. But, things have moved on, the modern cyclist needs a bike for every occasion. You wouldn’t turn up for work in your gym clothes – similarly we can’t turn up for our daily commute on anything less that a state of the art fixie. Cycling is very much an all embracing activity, and to get the most out of the sport, we need a bike for every occasion. Time trial bike. If you buy a time trial bike, you can easily knock a few minutes off your time. Time trial bikes are so much faster than road bikes. If you’re a roadie, you may only use it once a year which is perfect because you can store it in the loft, leaving more space for new road bikes in the living room. Winter training bike. Don’t let your best new bike rust away on salty roads. It’s best to keep a bike geared up for winter. 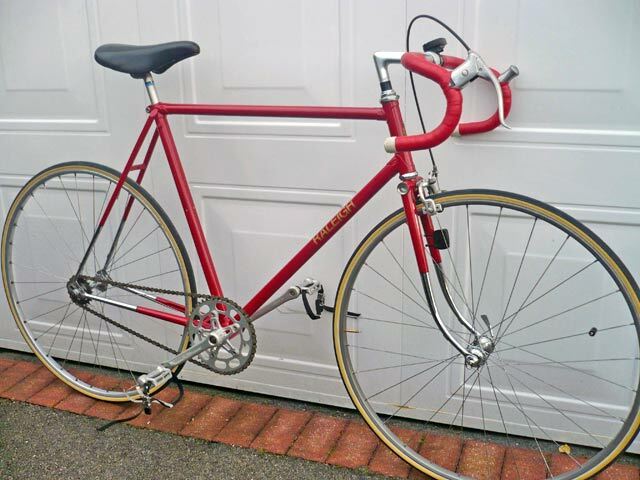 Complete with heavy duty lube, mudguards, lights, generous saddle bag. Actually, no one really buys a specific winter training bike, but, it is an excellent reason to upgrade your main summer road bike so you can use last years ‘super road bike’ as your new slow winter bike. 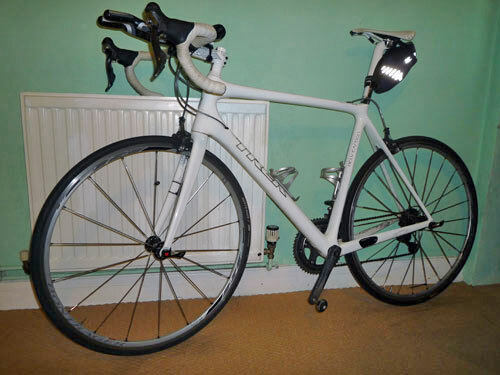 This is an excellent reason to buy a new bike – you are always getting two new bikes into the bargain – a new summer bike and by default a new ‘second best’ winter bike. Track Bike. Fixed wheel specifically for track gives a new dimension to cycling. Touring Bike. Any serious amount of touring means you can justify a comfy frame (e.g. steel) with all the accessories for touring. The good thing about steel is that ‘steel is real’ – it’s what the great cyclists rode in the golden age of cycling. 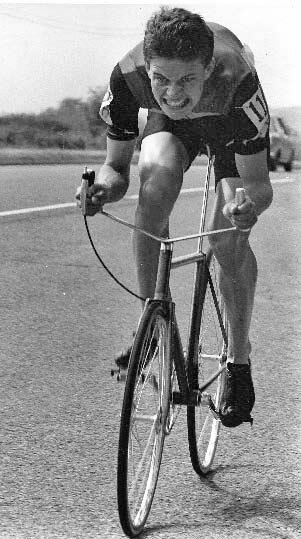 If you buy a proper steel bike, you can justify spending lots of money on Rapha 1960s retro clothing. Hill Climb Bike. These days the hill climb bike is more essential than ever. How are you going to move up Strava leaderboards without a specialist hill climb bike? The great thing about buying a hill climb bike is that once you’ve bought it, you can then spend loads of time cutting up and drilling holes in your new bike to shave those incredibly important extra 40 grams. 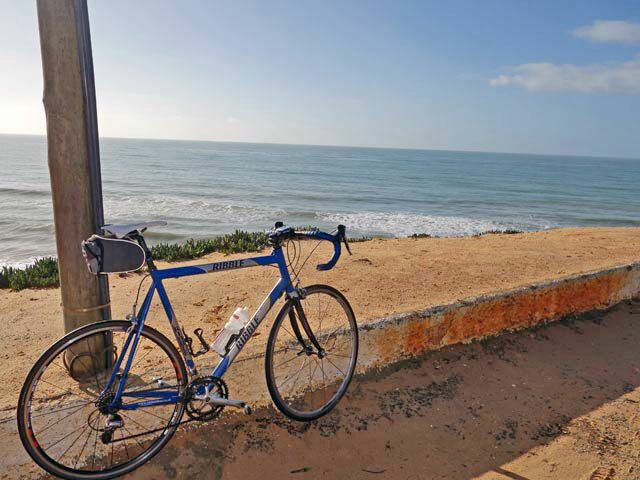 New bike and family holiday sorted – all in one! Tandem. Who says you don’t have the best interest of your partner at heart. Get a tandem and you can share quality time, whilst at the same time knocking off a few interval sessions. Tricycle. Difficult to steer, heavy, and slower. But, they are cool in a kind of bearded men, over 50s way. You can’t be bothered to clean your old bike. 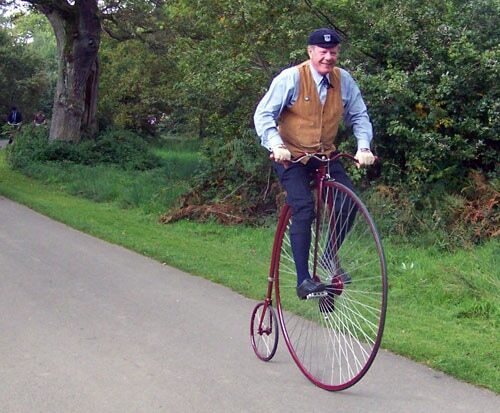 You can’t be bothered to mend a puncture on your old bike. You want to get a super-fast winter training bike so you can burn people up in the middle of winter. How many bikes have you regretted buying? Have we ever regretted buying a bike? Have you ever heard of people getting divorced from their bike? Bear that in mind. xY = a function of your income. Where x is dependent on access to credit. L = number of Leprechauns who secretly steel your bikes in the middle of the night and go cycling around Regent’s Park wearing nothing more than tight fitting green lycra and a woolly hat. Suppose you are single and have been cycling for 25 years, and you earn £30,000 a year. The optimum number of bikes to accumulate is 12.7 (tandems and tricycles still count as 1). Random bike parts left around the shed for several years don’t count. If you have two (wives/husbands/civil-partners/cohabitants) and only £2,000 on your Wonga Wonga credit card, the optimum number of bicycles is – 1. Therefore, your first priority is to get ride of one of your wives/husbands/civil-partners/cohabitants – or alternatively ask your Garden gnomes to start printing money like the good old Bank of England. Note: This part of the formula (3S) can be over-ridden by suffering intense nagging about why did we end up on holiday in Scunthorpe, when you bought yourself a new £6,000 Trek Madone? 12 Responses to Do I need a new bike? You forgot to mention cyclo cross bikes as a good winter hack and potential for off road bridal path bashing a must have if you ask me. You can also enter one of the 60 cyclocross events within 50 miles of the center of oxford (check british cycling its impressive how many there are). Zappi’s are putting on a race soon (south of Abingdon) as are Oxonian cc (hinskey hill botley.) though zappis will be consist of a series of steep hill reps on a excellent flowing circuit and Oxonian is a much flatter course. thinking of getting an emonda tejvan? I think the constant of your equation you’ll always be doing the same amount of riding! What, no cargo bike? How am I supposed to transport stuff? Yes, that’s on my list. Why is this article so incredibly sexist? Does the author have no idea that women cycle too? I much enjoyed this article and the responses to date. I concur with Baines’s comments about the need for a cross bike. Having had quite a bit of snow this winter I am looking to justify to my W (or should that be S?) the need for a cross bike for next winter, complete with a spare set of wheels fitted with studded tyres for the icy weather! Perhaps there needs to be an additional element to the formula to account for the safety advantages of having more bikes? What a fabbie article. Made me chuckle out loud. I’m not the only one!